X Limited Package: You can’t miss it. 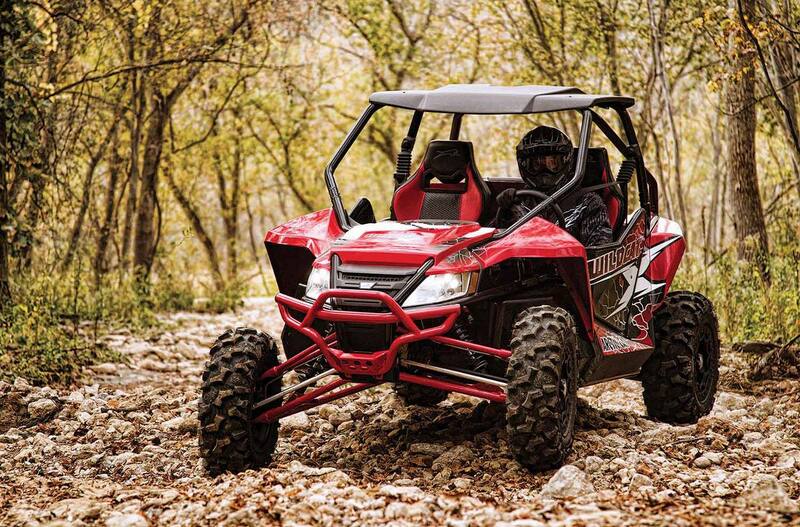 The Wildcat X Limited dominates the landscape wherever it goes. 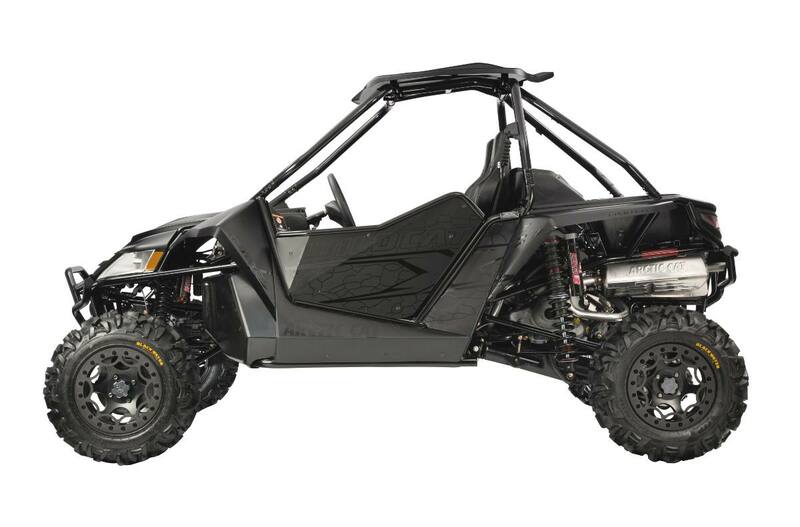 90+ horsepower combined with an incredible suspension and clutching system will blow your mind. Details to note include top of the food chain Elka Stage 5 shocks, ITP Blackwater Evolution tires mounted on aluminum beadlock wheels, a molded roof and full aluminum doors. 5-Link Rear Suspension: The 5-link rear suspension boasts a full 18-inches of travel. No other machine in this category goes to this extreme to keep your wheels firmly planted on the ground. Digital/Analog Gauge: The digital/analog gauge is extremely forthcoming when you want information. It features 14 critical operation indicators including clock/hour meter, fuel level, mode button, set/reset button, odometer/trip, gear position, speedometer/tachometer, needle display, differential lock, high beam, battery condition, temperature and oil pressure. ITP Blackwater Evolution Tires & Aluminum Beadlock Wheels: A good set of tires will take you where you wanna go. A great set of tires will take places you never knew you could go. That sums up the role of these ITP Blackwater Evolution tires. Of course they’re mounted on beadlock rims. This machine means business. Elka Stage 5 Shocks: Elka Stage 5 shocks feature high and low speed compression dampening as well as rebound adjustment – precise tuning makes these shocks smoother and more responsive. 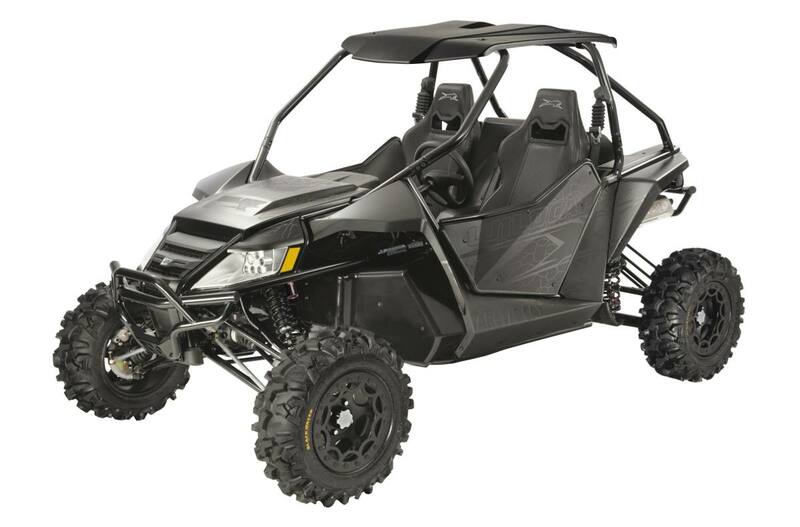 Race-inspired characteristics include high hydraulic flow, lightweight components and low-friction moving parts – which means they are tough, rugged and ready for anything. Aluminum Bumpers: Wildcat™ X and Limited models come with painted aluminum bumpers. These bumpers make your Wildcat even wilder looking. If you happen to bump into something, no problem, these are tough bumpers. 13 Inches of Ground Clearance: Wildcat™ boasts 13 inches of ground clearance. When you take 17 inches of front suspension travel and 18 inches of rear suspension travel into consideration, articulation is incredible. 18 Inches of Rear Suspension Travel: The terrain says, "impassable." The suspension says, "bring it on." The Wildcat's independent suspension features our unique 5-link rear suspension. There's also a sway bar back there to keep body roll to a minimum. 300-lb. Capacity Rear Cargo Box: The Wildcat™ will take you places far and wide. Often you'll need to bring supplies. The rear cargo box carries up to 300-lbs. So don't hesitate to load it up for the long haul.